You know, everyone thinks that being a DJ is the best job in the world – you get to travel a lot, play music for a living and hang out in the coolest clubs in the world. People seem to think of my job as clubbing and nothing more than that. I’m not trying to say I dislike what I do. In fact, I love it and wouldn’t trade it for anything but being a DJ is not as easy as most people think it is. I want to make you feel like you are next to me, from the moment I wake up to the moment after I finish with my gig. If you’re interested in that, please keep reading. Most days, I wake up around 11 AM. This might be a bit late by some peoples’ standards, but I need to get a good night of sleep and I fall asleep really late, sometimes even around 5-6 AM, especially if I DJ at a club that works until the sun comes up. My morning routine consists of a few simple things: first, I drink my coffee, eat breakfast and then I work out. You need to be in shape if you want to DJ, but not a lot of people would assume that. My favorite part of the day starts when I come home from the gym. I shower again and feel fresh and pumped and then I just start playing around with my equipment. I have an amazing sound system and a little home studio, like most DJs: turntables, keyboards, computers, speakers, earphones, vinyl records, mixers – it’s all right there in my little studio. I sit down (sometimes even stand up, especially if I’m playing something energetic) and completely immerse myself into music. Different sound patterns, samples, vibrations, effects, colors, feelings and moods – that is what my reality consists of when I am making and mixing my music. I lose myself in that ocean of sound, completely and sometimes, I feel like I have left my own body and transcended into a different dimension – I know, I know, this sounds like such a cliche, but I’m just being honest. That moment when I feel like I’ve completely lost myself is when I know I’ve done something right. I know I’ve tapped into the infinite well of music and created a whole new sound out of nothing. However, these moments are rare. Most of the time I just play around with my equipment and try to come up with something. Sometimes I surprise myself and sometimes I come up with nothing. After hanging around at home and making music I get ready if I have a gig that night. My equipment takes up a lot of room so it’s hard to carry it all around. But sometimes I just have to, because some clubs don’t have everything I need. When this happens I make sure the organizers provide transportation (most often a van) and a driver, so I get to the club on time and set up my equipment. After I get there and set it up, I start warming up and playing a little bit of music. I try to feel the mood and the energy of the club – all clubs are different and people are different, yet similar wherever you go, in a way. What I try to do is feel the pulse of a certain place and go with it. When I sense that I’ve done that I start mixing and playing. I like to animate people a lot too, so I ask for their support and try to energize them as much as I can. I always give my best and try to let them have the best time of their life, even if I sometimes fail. 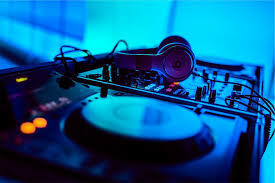 I DJ for a few hours at least, but this depends on club owners more than anything and whether or not there are other DJs playing after or before me. Sometimes I stay at a club until 6 AM and sometimes I’m done by 1-2 AM. After I finish I go to the backstage area and try to rest there for a little while. I have a cold drink and usually talk to the club promoter or the owner. Then we arrange things, in detail, about how much I will get payed and what not. Most people are easy-going and pleasant, but there are exceptions. That’s usually when I involve my manager and try to smooth things out. After all that I leave the venue and come home. My head usually feels a little heavy, for want of a better word and my ears are always ringing, even though I use earplugs to preserve my hearing. I take a shower and play some smooth jazz or ambient electronica to relax myself, until I fall asleep. Big thanks to Zion Recovery Center for helping sponsor this post. I personally know people whose lives have been changed and probably saved by their Christian drug rehab program. Be sure to check them out if you or someone you love needs help.